This vibrant personalised birth print will make an excellent new baby gift. Baby blocks in yellow, orange, pink, green, blue and purple sit beautifully in front of a lilac background. The bright and varied colours of the blocks will match the colour scheme of any nursery and also makes the print ideal for a baby boy or girl. 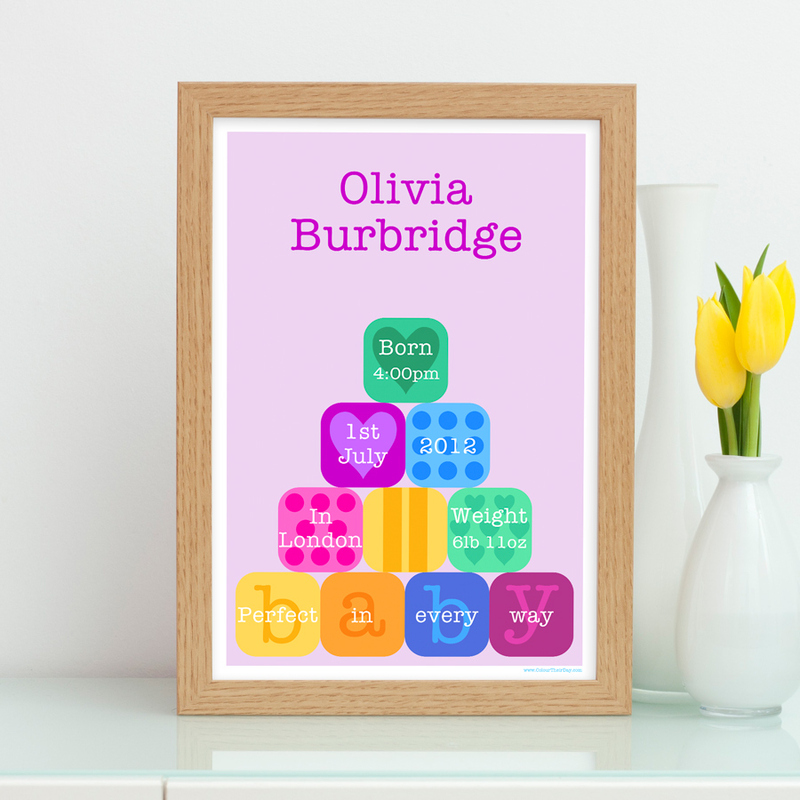 Be the first to review “Bright Baby Blocks – Personalised A4 / A3 Birth Print” Click here to cancel reply.